Elderly power scooter, flip up armrest, distance adjustable, swivel seat, standard backrest, detachable sponge seat base, adjustable tiller for more comfort, detachable battery and basket, all puncture proof 9 inch wheels. Jerry Medical Instrument (Shanghai) Co., Ltd. is an ISO13485 certified professional high-tech company which is specialized in R&D, production and sales of medical instruments. 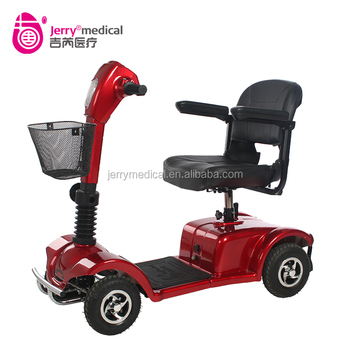 Currently we mainly focus on two series of products: electric wheelchair and elderly scooter. Over the past three years, our company has strictly complied with the principle of "Innovation, Quality and Service". We have stuck to constant innovation, reliable quality and well-pleasing service. We have developed the domestic and international markets, and gained good reputation in many regions among customers and users. 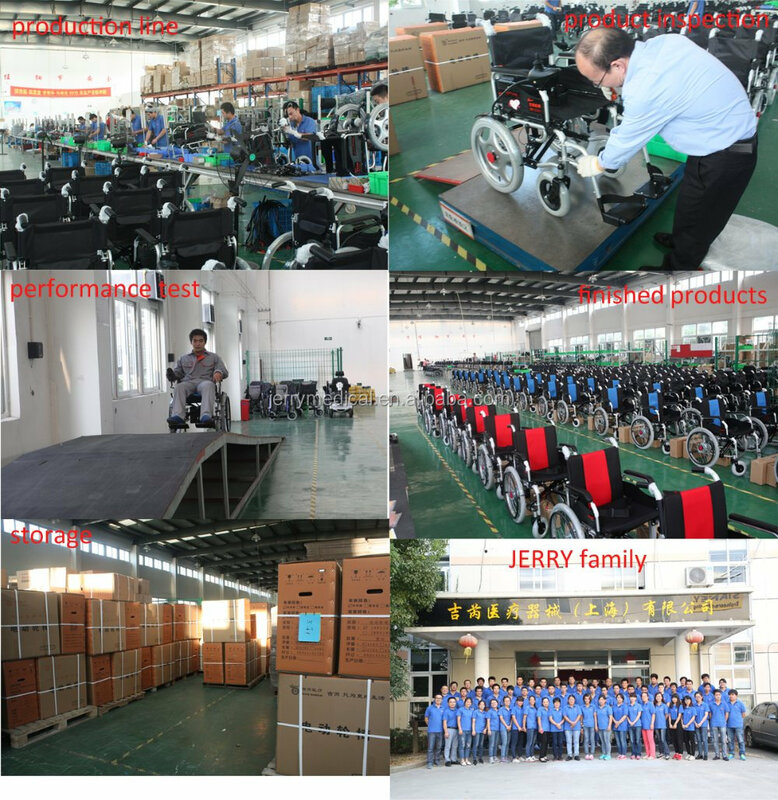 With Jerry family's efforts, Jerry become one of the most famous electric wheelchair brand in China. And for international market, Jerry deals with Asia, Europe, Africa countries. To ensure quality, we have strict inspection procedures: incoming inspection (IQC), in-process inspection (IPQC), final inspection (FQC). Our company takes the product quality as top priority. Strictly inspected and detail oriented, continuously improve the products comfort level. We are a reliable company full with corporate responsibility. And we'll never stop improvement and innovation in production and sales. Care for health, Jerry just for a better life! If any interests or questions, please contact us freely.